A young man, now known as Dr. MasarratAli, born in a middleclass family in Jhansi,U.P., came to Aligarhin 1971 with many dreams. In 1977, heleft Aligarh for Lucknow to complete his Ph.D. as a topper andgold medalist in M.Sc. Biochemistry with all distinctions. From Lucknow,he went to Paris and London for additional training. He also served as a distinguished teacher at Louisiana State Universityfor almost a decade. Later on,displaying vision and courage, he established his own Alpha DiagnosticInternational, which is one of the largest most successful Biotech Company inthe world today. For his success, Dr. Masarrat Ali was recognized in 2005 as awinner of Ronald Reagan Gold Medal by the then U.S. President George W. Bush.He has also earned many other laurels. As an Aligarian, I feel proud that anotherAligarian is doing such a great job. I admire Dr. Masarrat Ali for anotherreason as well. As a person in this materialistic world, he has been thinkingabout his mother, alma mater, his mother-tongue, his mother land, as well asthe land which he has adopted as a land of action and inspiration not forhimself but for the future generations. He is the person who never forgot hisfamily and he loves and takes care all of them. He has done yeoman service tothe Aligarh Muslim University,his alma mater, by believing in the ideals of Sir Syed Ahmed Khan and spreadinghis Aligarh Movement as President of the Federation of Aligarh Alumni Associationsof America. 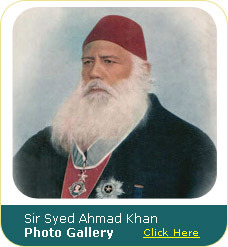 He has done a remarkable job by digitizing of available materialbelonging to Sir Syed, his associates and the Aligarh Movement which spreadsover several thousand pages and made it freely available on the website: www.SirSyedToday.Org. This is all the more significant as this digitization project is one ofthe largest at least in Indiaon any single person or institution. Dr.Masarrat Ali’s next project on the digitization of Urdu-English dictionary willallow search in Urdu and English, pronunciation and examples of words usage inpoetry and prose with historical background. The project is already underway and it will be made freely available onthe internet in the days to come. Dr.Masarrat Ali is working on many welfare projects more particularly for theeducational advancement and economic well being of communities in India and in the U.S. 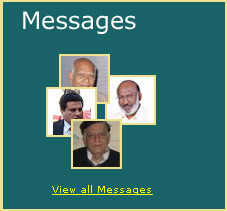 In this sense, he is repaying allgratitude to the community and society which had contributed to what he hasbecome now. I wish wehave many more people like Dr. Masarrat Ali around us. May Allah bless him, his family abundantlyand give him all the success in his all future endeavours.